A BRIGG THANK YOU FROM KRIZEVAC! Yesterday, Zoe and the Uttoxeter warehouse team had a lovely visit from Chloe (pictured) from Briggs Equipment for the official handover of the fork lift truck, donated to Krizevac by Briggs. Chloe had a look around our warehouse and got a chance to see first hand exactly how much lifting our willing volunteers do in order to get all the bikes, books and seeing machines to Africa. 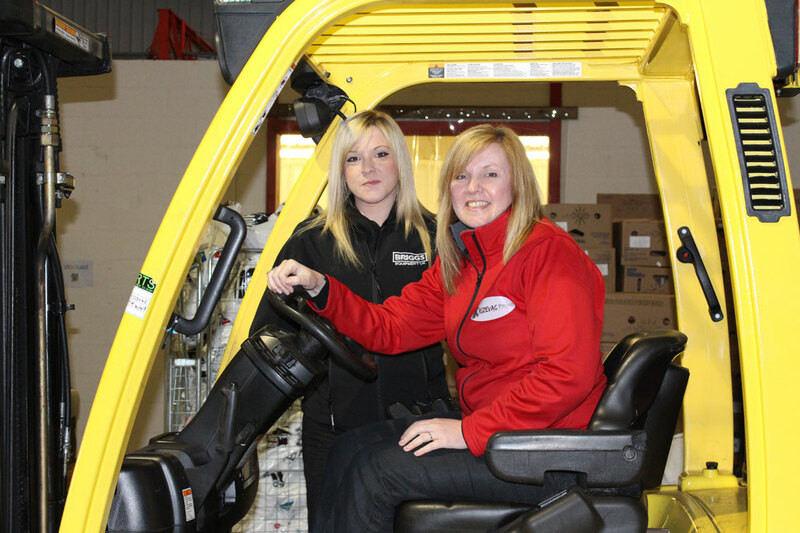 “The forklift saves so much back breaking work” explained Zoe, “I can’t imagine how we ever managed without one”. We’d like to say a huge thank you to the team at Briggs, who are providing ongoing support with maintenance and servicing for the fork lift. Every week Mother Teresa Children’s Centre hosts a group for Young Carers, children who care for other children. 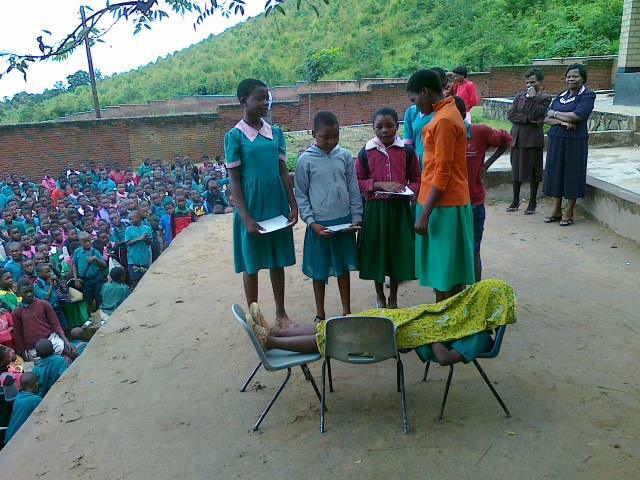 They’ve recently written a play which aims to teach other children in their community about the dangers of Cholera, a water bourne disease which can kill. They are pictured here performing to a huge audience, we at Krizevac think this must have taken quite a lot of guts and determination. Thank you MTCC Young Carers, you truly are a caring bunch.